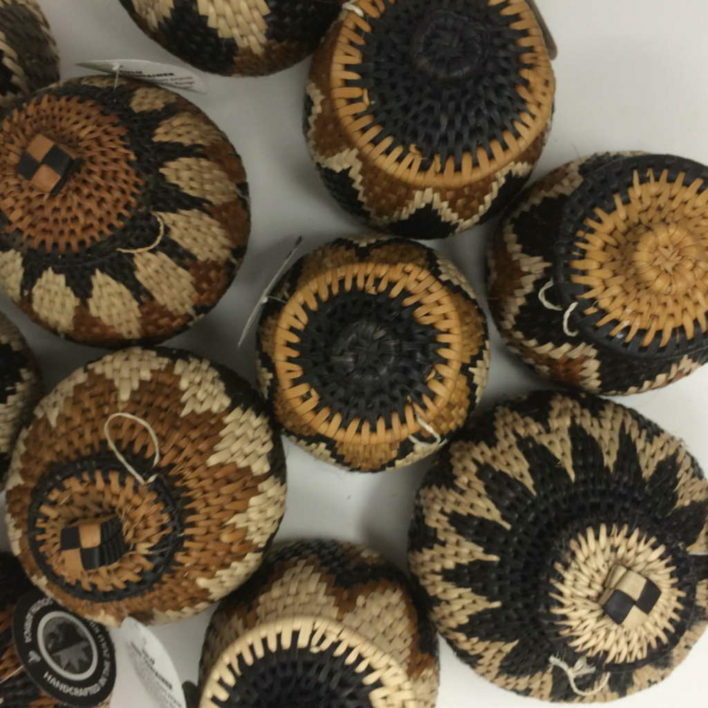 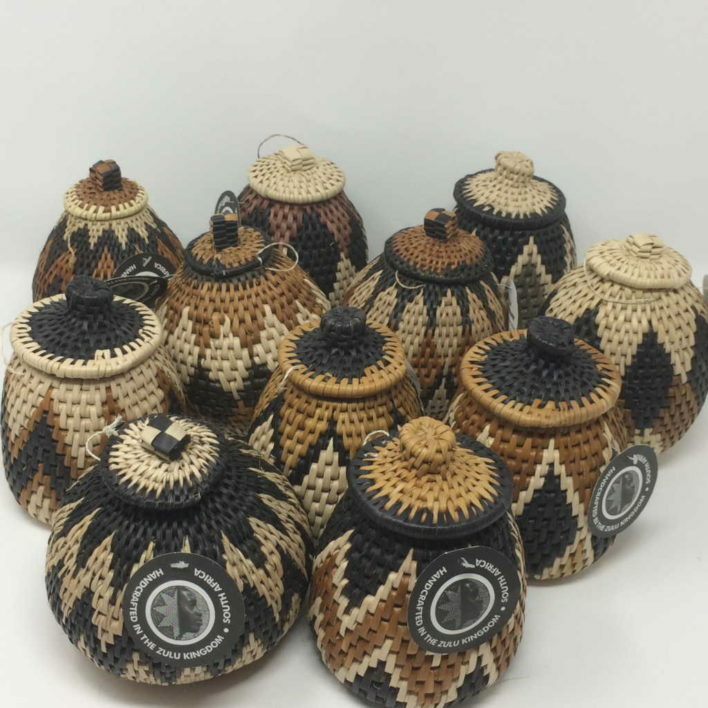 These beautiful and very useful canisters are woven in the same way as herb baskets i.e. 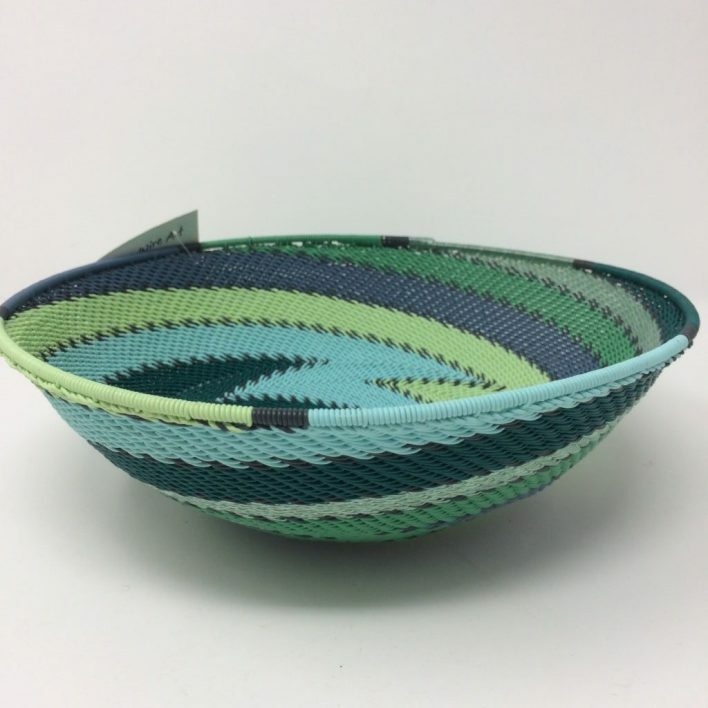 with an open weave. A really functional basket that can be used to store all manner of notions, knick knacks, kitchenalia, even as a store for onions or garlic. 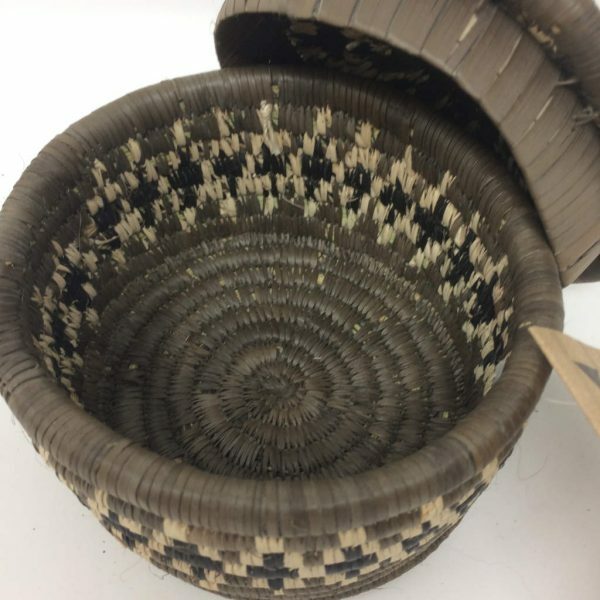 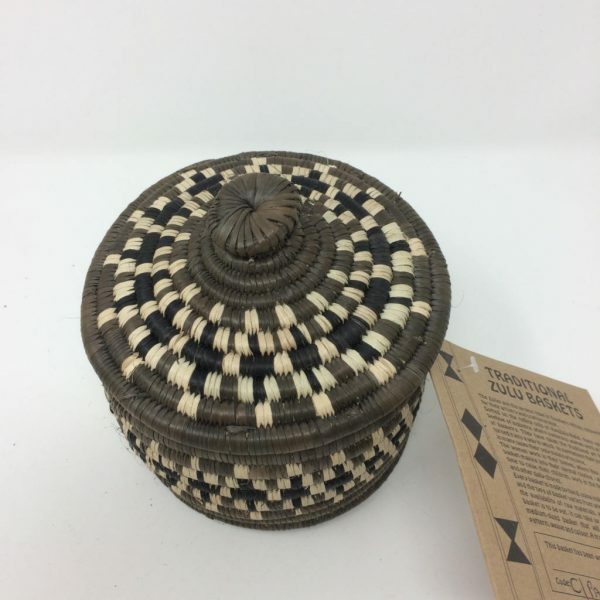 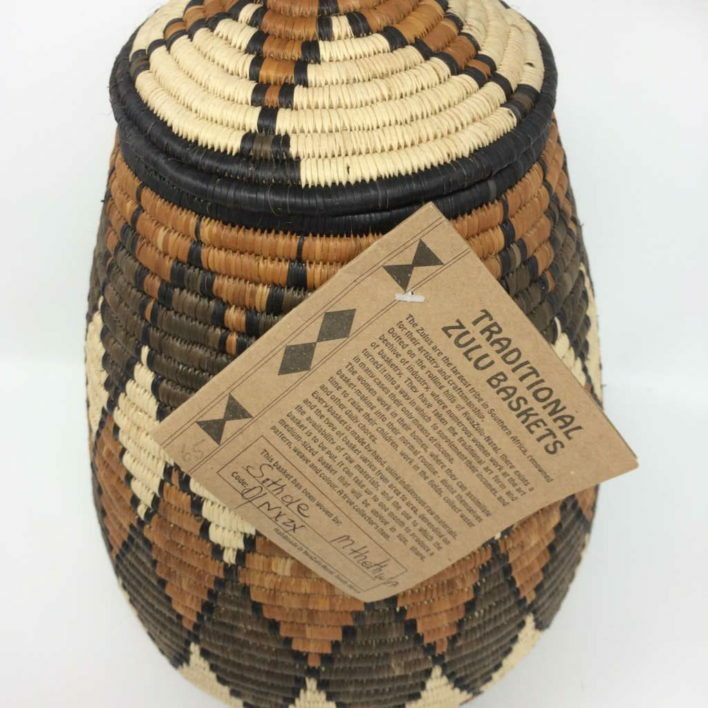 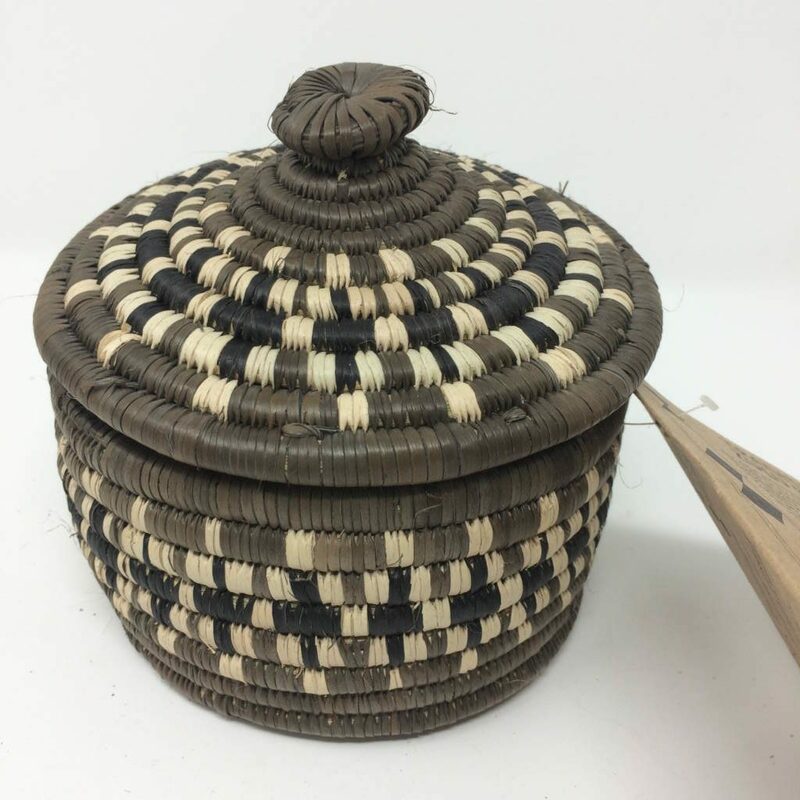 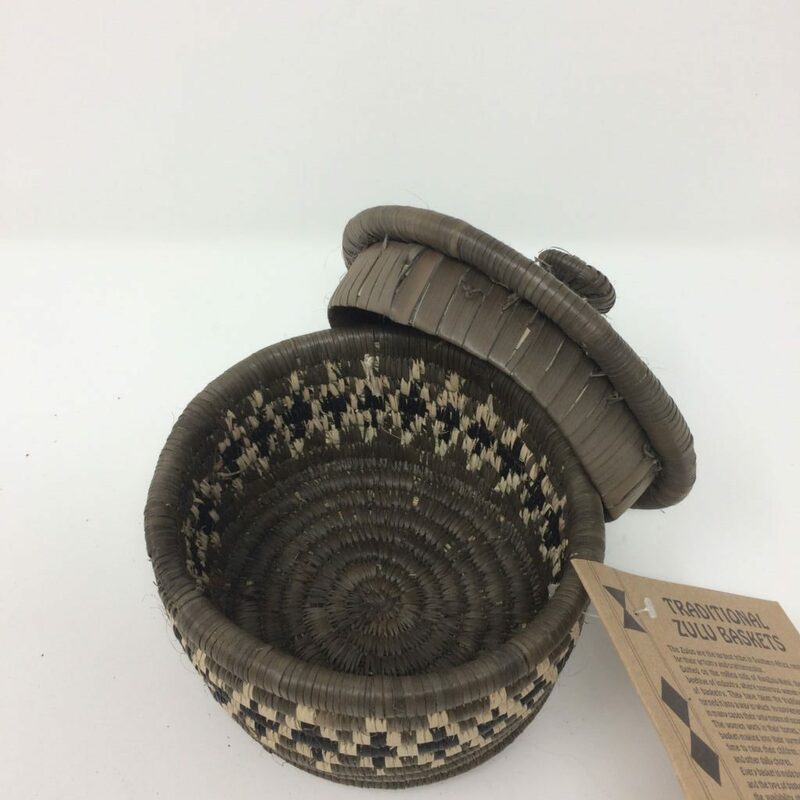 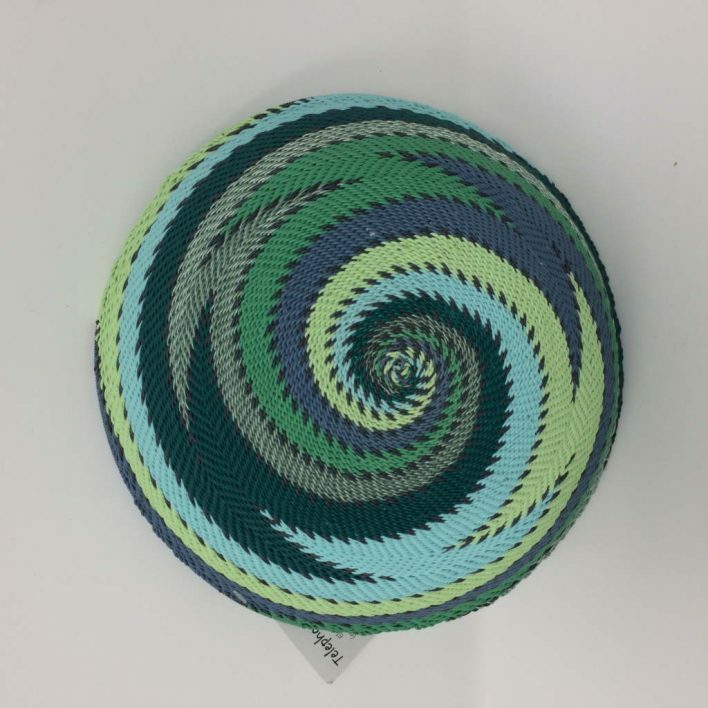 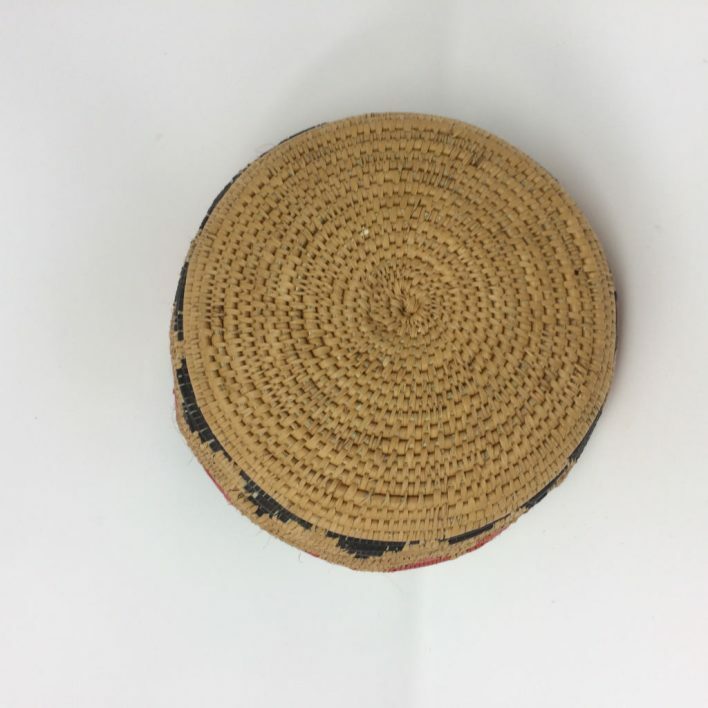 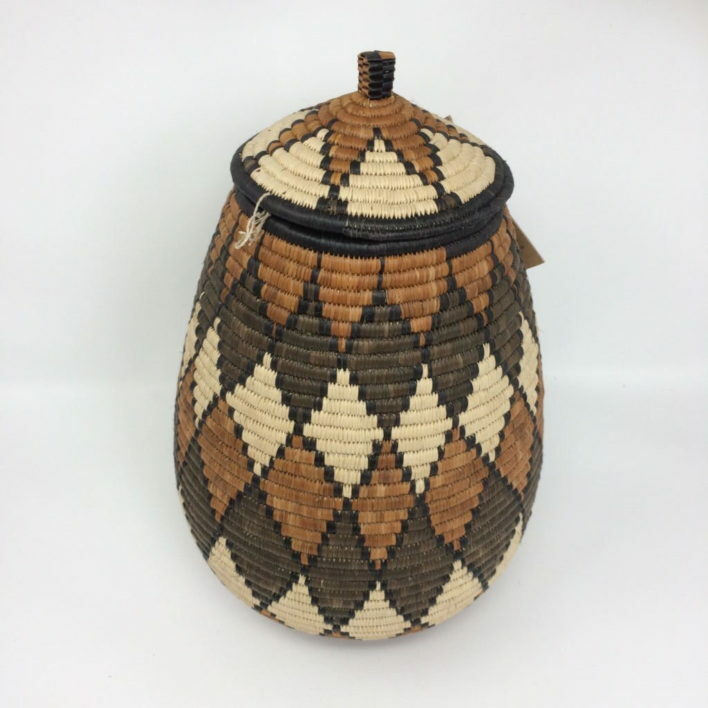 This basket has been woven by Thobile Myen in dark green, black and cream with a very subtle diamond pattern and a lovely patterned lid. 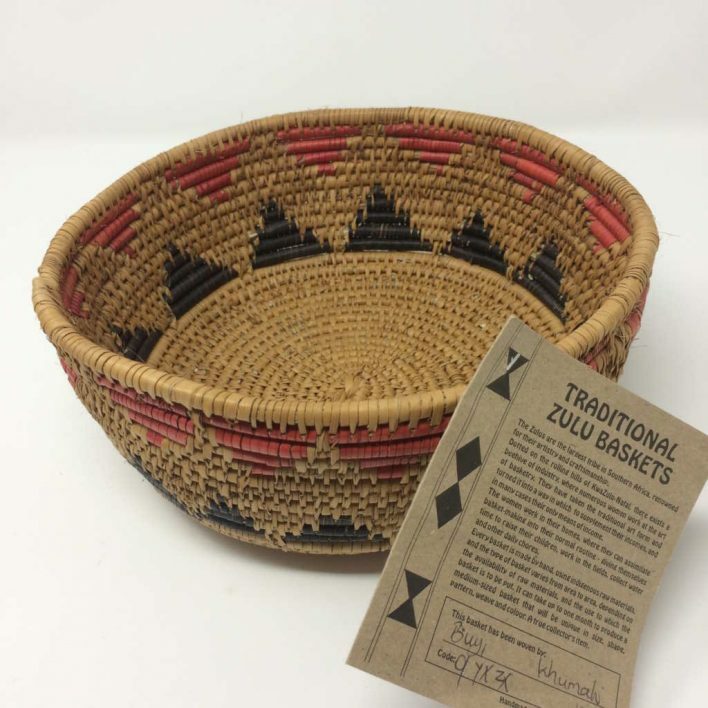 One of a kind – a unique and practical basket.